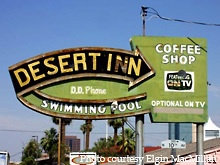 Here is the old and now former sign for the Desert Inn Motel, located on Van Buren Avenue in Phoenix.The motel still appears to be around but the sign is gone. 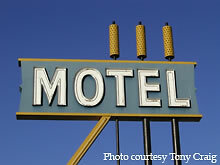 See more at Roadside Peek's Lost Treasures feature on the Desert Inn Motel. 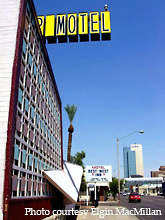 Check out the City Center Motel in Phoenix, AZ. 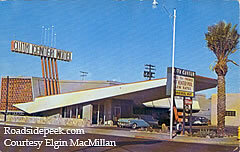 This fine mid-century motel building features many of the googie elements distinctive of the era. 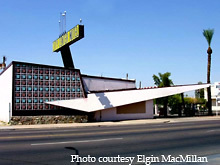 (Far left and left) A couple of shots of the profile of the City Center Motel, including the large angular siding on the motel building. 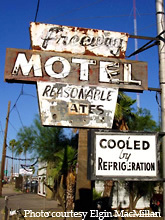 Check out the roadside sign for the Freeway Motel, located in Phoenix. 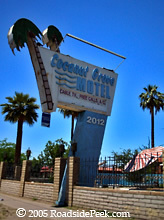 Check out the marquee for the Cocanut Grove Motel, located in Phoenix. The name appears to be a play off of the Ambassador Hotel, though the spelling seems strange. This sign was recently removed and replaced by plastic. Oh, and the sign spells the name with an "o" now. 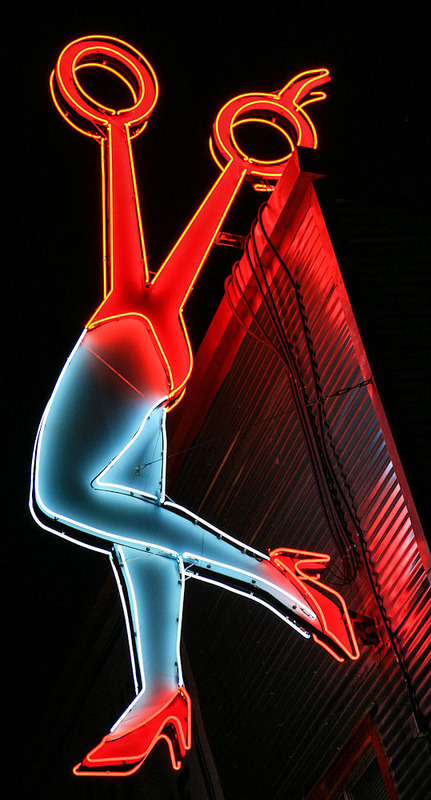 This Motel sign is a reminder to when the family would pack in the station wagon and take a real road trip across America to see grandma or Aunt Suzie ... or something like that.